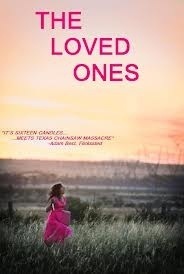 “The Loved Ones” is kind of an anomaly. It was originally released in 2009, making the festival rounds and building up a fair amount of hype. I’d been following it’s “legend” for years, even “acquiring” a copy of it a few years ago. It’s only now been officially released over here, and I thought it was finally time to see if the hype was justified. In short, it is. “The Loved Ones” is essentially a blend of the excellent “May” (from the director of previous Horrorthon flick “The Woods”) and “Misery”, with a bit of “Pretty in Pink” thrown in for good measure. It juggles comedy, horror and mystery to great effect, with a well selected soundtrack that certainly adds to the proceedings. The plot revolves around Brent, who inadvertently killed his father in a car accident and has been trying to deal with the guilt with drugs and self mutilation. He has a chance at happiness with his girlfriend Holly and looks forward to a prom night to remember. He is asked to the prom by a quiet loner, which he politely turns down. In spite, she has her father kidnap him and sets in motion a macabre prom night to remember. The acting is uniformly excellent, especially from the two leads. I recognized Xavier Samuel from recent (and underwhelming) shark thriller “Bait 3D”, and of course “Twilight – Eclipse”. Robin McLeavy has been in both “Abraham Lincoln – Vampire Hunter” and AMC’s “Hell On Wheels”, neither of which I’ve seen, but hey, they DO exist ! “The Loved Ones” is an extremely intense movie at times, and is definitely difficult to watch during some of the torture scenes. The juxtaposition of these scenes paralleled with the geekier friend having the prom night of his dreams do an excellent job of turning genre conventions on its ear. I found this film to be unpredictable, macabre, well crafted and definitely worth the ride. Hard to watch at times, but equally hard to turn away. Add my vote to the many that have already reccomended this gem. This entry was posted in Reviews and tagged 2012, cake, cult, dahmer, dress, gore, goth, Horror, hype, killer, May, misery, October, prom, review, serial, sick, slasher, thriller, thrust, torture by lazron. Bookmark the permalink.